Great days recently. Rain during nights, followed by cool mornings and daytime sun – a treat. 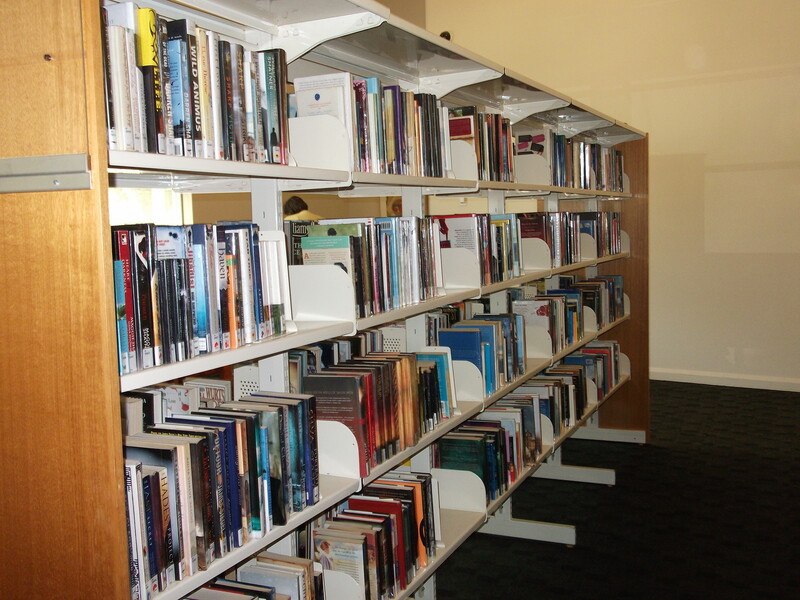 Library has been quiet, conducive to concentration and good work. Editing: Steady work continues through the chapters of Present tense – about half way through. Freya has divorced, become an aunt, lost her parents, her job and then her grandmother. Set for her first placement as a humanitarian aid volunteer she endures a terrifying interruption to her flight to Nairobi. On arrival she is disappointed to find that her mission might be aborted because of escalating violence around her South Sudan destination. Now she was in exotic Nairobi. Nothing had prepared her for arrival in this place; not the readings, not the film or video viewings, not the avid attention to briefings, nor prolonged reflections, or any previous experiences. Everything was different, and crowded. She felt vulnerable, unready; and still a long way from her final destination. The pushing and shoving was unnerving. She realised she’d forgotten how empty Australia was, even compared with Europe. Here everything felt crowded and overwhelming and aggressive. And home seemed so orderly. As the system started to crank the miscellany of luggage on its way Freya stood back waiting until the crowd cleared. Her bag was one of the last on the turntable. It felt heavy. She told herself it was just tiredness from the long flights that had set her nerves on edge. Then the message attached to the board held aloft as she passed through the arrivals area gate discouraged her some more; she was to make her own way to the MSF house. Backpack aboard she found a Reception Desk clerk who phoned the number recommended in the note for a taxi. It wasn’t really like her to be thrown by such a small issue. No doubt they’d given up on her because of the serial delays. Outside, the humidity and heat magnified the smells she had expected. It was an effort not to gag as the taxi navigated wildly through the vehicles coming from all directions, the potholes, the people and the animals. The driver was being friendly, asking Freya where she had come from and what she was doing here. Even though she felt churlish she answered as briefly as possible, just wanting him to concentrate on driving. Reading: I’ve always meant to read a Marian Keyes book but didn’t get round to it till now. I tried to stay with The brightest star in the universe, but gave up about a third of the way through.Maybe should have persevered but decided there were more engaging novels on my shelf. 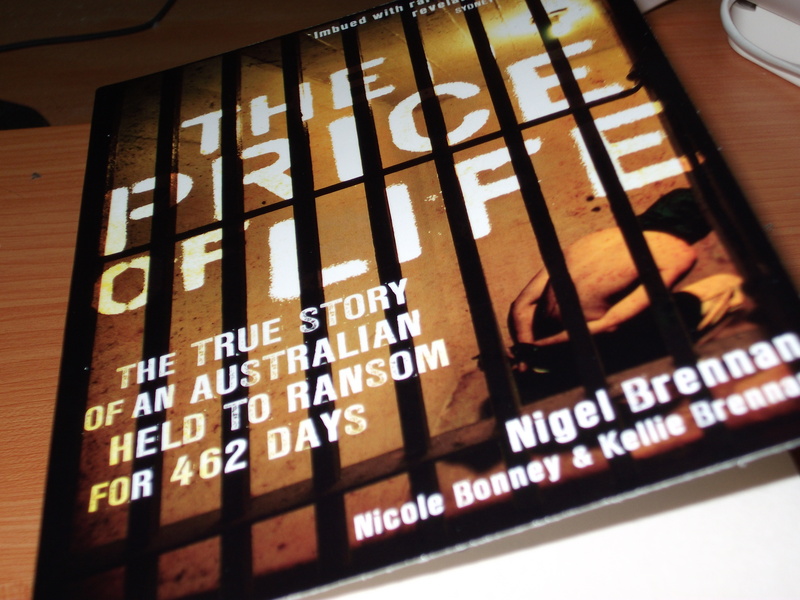 As of last night and today I’m turning the pages of books by two Australian authors: The price of life: The true story of an Australian held to ransom for 462 days by Nigel Brennan (see more below), and Forecast:Turbulence by Janette Turner Hospital, a short story collection. You can find her reading an extract from one of the compelling stories on http://www.theaustralian.com.au/arts/dark-matter/story-e6frg8n6-1226168813974 I recommend it. Author talk: Last evening there was a big turnout for Nigel Brennan’s scripted Q & A session followed by audience questions about the experiences of his family here in Australia and his own during his imprisonment with a Canadian woman colleague in a Somalian jail: a salutary tale. When Nigel was signing my copy of his book we chatted briefly. He mentioned me he’d attended writing classes by Bryce Courtenay who had rated one of the most useful tools for a writer was bum glue. No problem about that for me; as the local library staff could attest. Just need a good dose of the right kind of talent to go with the effort. Ready for a weekend of more reading.